​The Korean Martial Arts Academy (KMAA) has operated in Canberra, Belconnen, since 2003 in a professional, air-conditioned and well appointed facility. Prior to 2003, KMAA operated out of school sports halls. Martial arts is a valuable element in leading a fulfilling and healthy lifestyle. The Korean Martial Arts Academy embraces this idea and integrates these qualities into each of our martial arts programs. Martial arts is key for balance of the mind, body and spirit and in today's busy lifestyle; nothing is more important. KMAA's programs empower its students as they discover their strengths and achieve their goals. KMAA primarily teaches Taekwondo. Taekwondo directly translates as 'hand' 'foot' 'art', meaning that both hand and foot techniques will be used in your training. Traditional Taekwondo training is essentially Poomsae (also called patterns, forms or Kata in other styles) and sparring or fighting (as seen on the Olympics). KMAA incorporates a diverse variety of Taekwondo and martial aArts techniques including fitness, basic kicking and striking, self defence, weaponry, cat rolling and break falling into all classes. 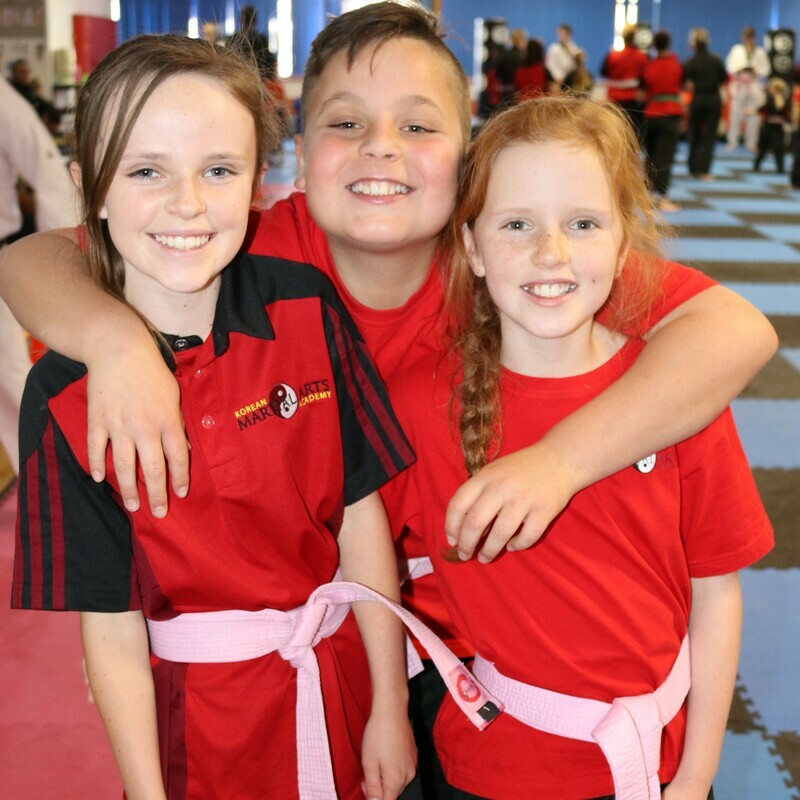 From its humble beginnings operating in school halls, KMAA is now based in an impressive martial arts facility, offering more than 50 classes per week! Discover the right martial arts class for you and when you enquire online, you are eligible to receive three complimentary trial lessons.